As two-time World Supercross Champion and Australian legend – Chad Reed, will embark on a quest to capture his third World Supercross Championship in two days time, an incredibly captivating documentary has been released, showing his preparation during his time down under at the 2016 AUS-X Open. Watch Chad, Mike Gosselaar, Cooper Webb, Ryan Villopoto, Justin Brayton and more elaborate on the 34 year olds stunning career, all whilst challenging for the coveted AUS-X Open crown. Reed was in stunning form at the 2016 AUS-X Open; some likened it to his 2004 form – when he won his very first World Supercross Championship. 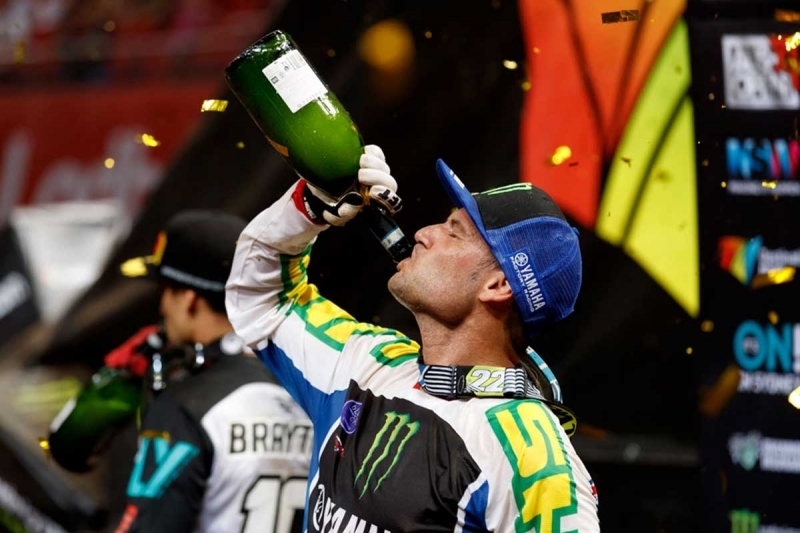 The Monster Energy AMA World Supercross Championship begins this weekend in Anaheim, California, spanning 17 rounds and ending in Las Vegas’ Sam Boyd Stadium in May.